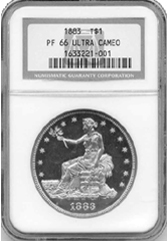 Description: This is a black and white ultra cameo. The halo through thr date is from the light. 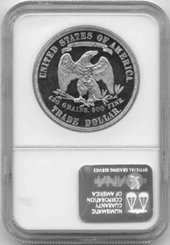 Trade dollars without haze and ultra cameo condition are extremely rare.